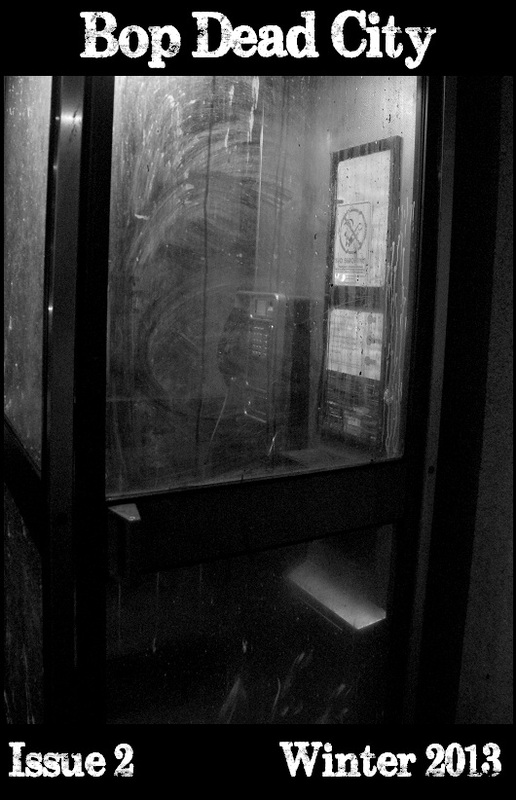 The photograph is called “Study of a Telephone Box (ii)” by Gonzalo Canedo, an artist in Scotland whose other work can been found at http://canedo.weebly.com/. The issue will be available for purchase around this time next week. The submission period for Issue 2 is now behind us, and we’ll be going into semi-hibernation in order to bring the issue into the world. Please hold your new submissions until February 1, when we’ll open up for the Spring 2013 issue. I’ll be in touch between now and then with updates. Also, the last few interviews from the last issue will trickle in as well. Thank you to everyone who submitted something during this period; reading what everyone sends in is pretty much why I started Bop Dead City in the first place.